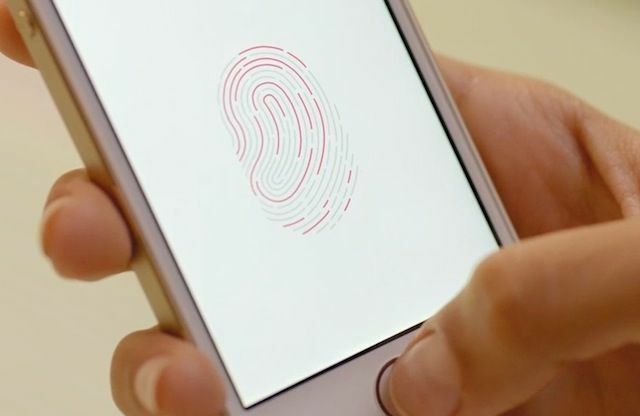 Apple wants to integrate Touch ID into the next iPhone display. Apple is reportedly struggling to integrate the Touch ID fingerprint sensor into the display of the forthcoming iPhone 8, claims a new report. The idea of a Touch ID sensor embedded beneath the display of the new iPhone has been heavily rumored, as this would allow Apple to expand the edge-to-edge screen real estate of its next handset, without necessarily having to make the device larger. The report comes from Apple analyst Timothy Arcuri of Cowen and Company, who revealed the rumor in a note to investors today. “For the 5.8-inch OLED version, the biggest bottleneck remains integrating an under-glass fingerprint sensor into the display— the current yield rate of Apple’s in-house AuthenTec solution remains low and AAPL seems unwilling to use other vendors’ products,” he wrote, in an investment note acquired by Apple Insider. Arcuri thinks there may be three ways around the problem if Apple can’t manage to fix it straight away. One would be to delay the production, although to still announce the iPhone 8 at the same time as its lower-end iPhone 7s devices in September. Another option would be to ditch the Touch ID feature altogether and rely instead on facial recognition. The last would be to ditch Touch ID, but to use a fingerprint scanner on the back of the phone. Of these suggestions, all would cause problems in their own way, although the choice to delay would be the least harmful. The main problem with putting a fingerprint sensor on the back (something which has already been rumored) is that it would lack the user-friendliness of the current Touch ID sensor. In fact, I think most customers would rather keep the existing Touch ID button and lose a potential inch of extra display, rather than lose the user friendliness of being able to unlock their handset from the front of the phone. Facial recognition would be annoying, since it would inevitably be a little slower than Touch ID. Right now, I can pick up my iPhone and start unlocking it immediately, so it’s ready to go by the time it’s in front of my face. Having to lift it up in front of my face and then wait a second for the necessary processing would be annoying — and, again, leave many customers wondering why Apple did away with the regular Touch ID Home button. It also poses a challenge if, like Samsung’s Galaxy S8, it turns out that users can unlock phones with only a photo of the correct owner. Since Apple relies on Touch ID for Apple Pay authentication, any biometrics system is going to have to be as secure as Touch ID currently is. Hopefully, either Timothy Arcuri is wrong, or Apple can resolve the issue quickly enough that it won’t make a difference to the production schedule.